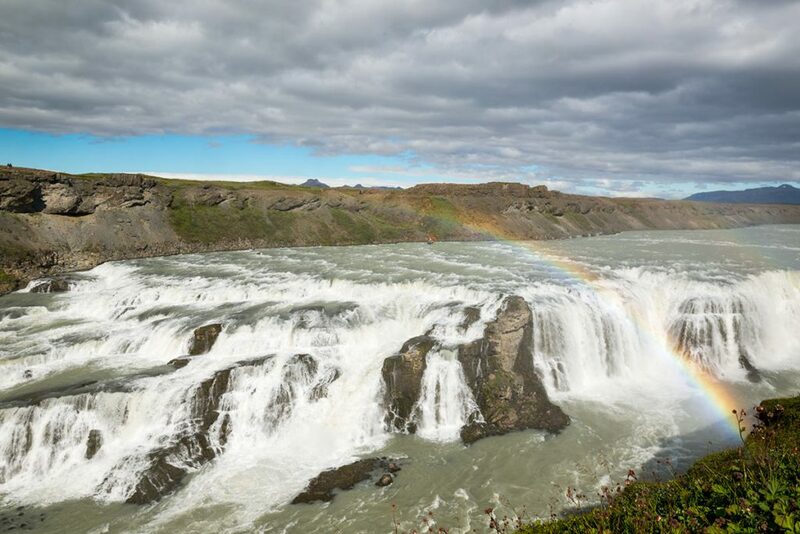 Gullfoss waterfall on the Ölfusá river is an inherent part of so called Golden Circle. And thanks to it, Gullfoss is probably the most visited waterfall in Iceland. It is sometimes compared to Niagara Falls and attracts hundred of thousands visitors a year. You can find Gullfoss approx. 120 kilometers east of Reykjavík, and is easily accessible by any car at any time of the year. 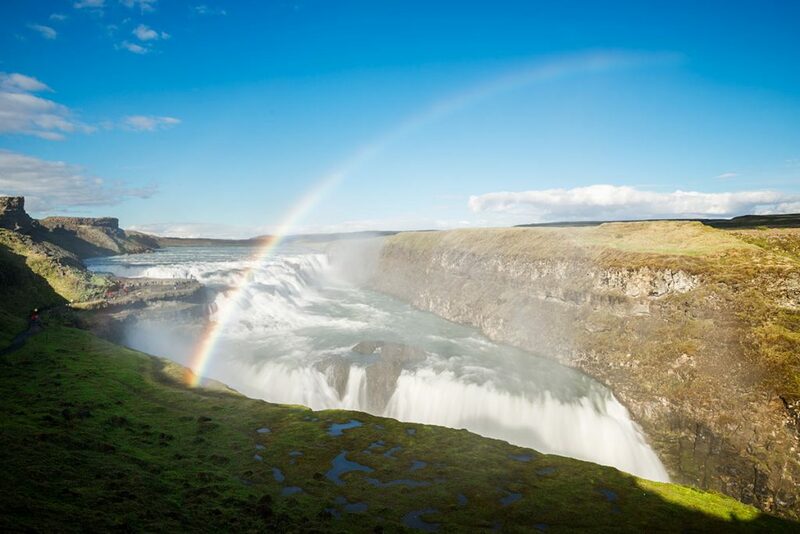 There are two options you can choose from if you want to see Gullfoss. 1) Most of the visitors comes to Gullfoss from the right bank of the river Ölfusá, there you can find the parking lot and several lookouts. From here you can go straight down to the waterfall between its two floors. Due to the popularity of the Gullfoss waterfall, there is loads of people here all the time. 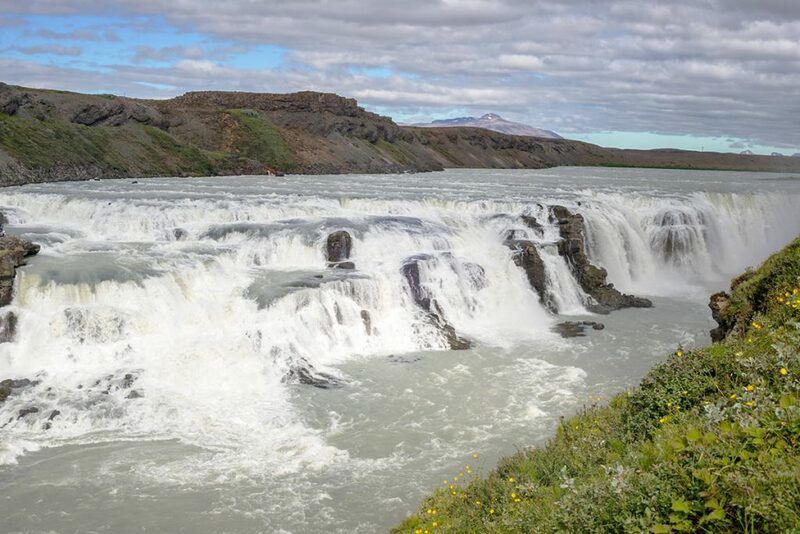 2) The other option is for those more adventurous of you, or for those, who want to witness original view over the Gullfoss waterfall and the area. Or for those of you who want to experience Gullfoss in privacy, from the left bank of the Ölfusá river. In such case, turn off the road nr. 30 here and take the road nr. 349. Follow the road for about 2 kilometers until you come to the junction. Turn steeply to the right (just warm turn to the right will take you to the farm). Follow this unmarked road and then turn left here. Go straight until you reach a small parking lot (GPS: 64.318284, -20.109075). From here on it is about 20 minutes to go by walk to the Gullfoss waterfall. You can make this route even with small 2WD cars but you cannot expect this road to be passable after the snow fall (winter time). 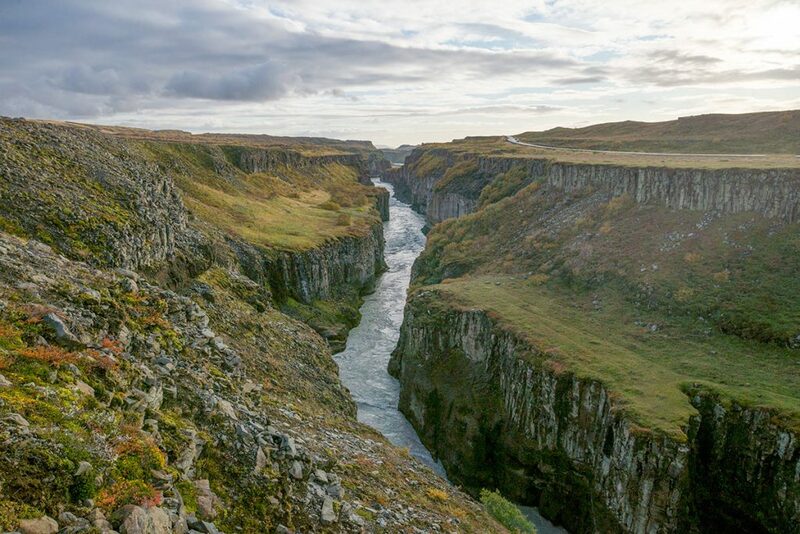 GPS coordinates of the Gullfoss waterfall: 64.326927, -20.120711 Take me there!